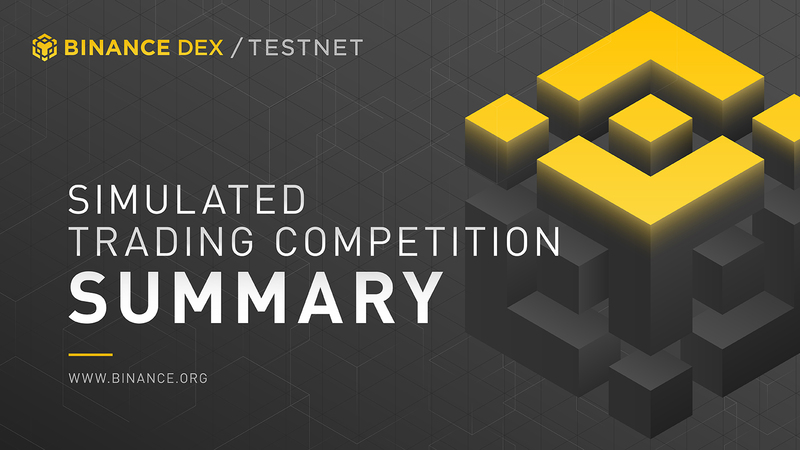 On Friday, March 7th, the Binance Chain testnet reset, clearing all existing asset balances to 0, and the Binance DEX Simulated Trading Competition began. In the two weeks since, Binance Chain saw 7.3 million transactions, with 666K+ new addresses activated and 320 tokens issued. Why are these numbers significant? What have the DEX developers and community learned? And, the ultimate question: Who is walking away from the competition with up to $60,000 in (real) BNB? Binance DEX is the decentralized order-matching engine powered by Binance Chain technology. With near-instant transaction finality and one-second block times, Binance Chain is faster than a majority of other blockchains, and allows anyone to issue and exchange new tokens. By March 11th, after an intensive weekend with DEX developers working late into the night to put out small fires here and there (both technical and non-technical), 1.42 million transactions had occurred on the testnet without any noticeable downtime, and most features had been efficiently explored and tested. 160 tokens had been issued by that point, and 150 pairs listed. The chain was still running sub-second block times––as fast as day 1. We continued to see dedicated teams and traders designing strategies, sending orders, writing programs and testing features over the course of the two weeks, until block 3041611 was generated at 8:00 AM UTC on March 21st, marking the end of the competition. Read the full post and others on the Binance Chain Community Forum. See you on the mainnet!